Senator Liam Twomey is one of three Fine Gael candidates contesting the general election in Wexford. 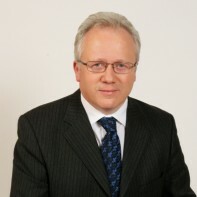 Prior to his election as an independent deputy in 2002, Twomey worked as a full-time GP based in Rosslare Strand. Having joined forces with Fine Gael while a deputy in Leinster House, the Clonakility native unsuccessfully contested the 2007 general election under his new party banner. He was elected to the Cultural and Education Panel of Seanad Eireann in July of that year and he is currently the party's deputy leader and Finance Spokesperson in the upper house. Twomey was one of the driving forces behind the establishment of Caredoc, an out-of-hours GP service for County Wexford.